Valentino Rossi and Maverick Viñales struggling in 2017 with a chassis that is often inferior to last year. A result of the test restrictions and the missing test team, says Rossi. While Ducati and KTM run very professional test teams with Casey Stoner and Michele Pirro (Ducati) and Mika Kallio (KTM) in the MotoGP World Championship, the remaining manufacturers have some catching up to do in this respect. 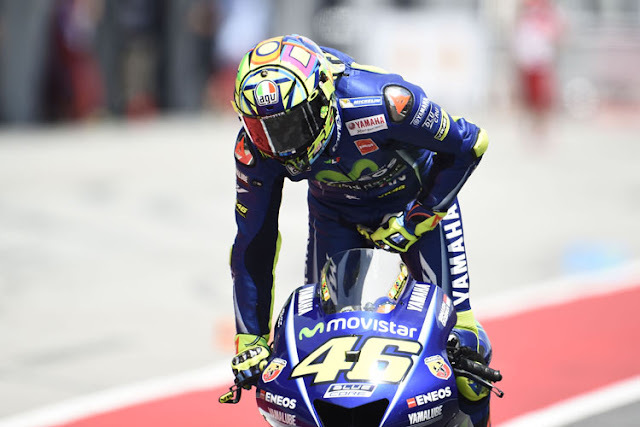 Valentino Rossi criticized in July at the German World Cup race that Yamaha have no suitable test riders. Nakasuga stopped her at 37 when she was not fast enough. Rossi and Viñales complained at the time because they had to test and compare the new Yamaha chassis at the races. Movistar Yamaha thought about establishing a test team after, also with Honda is such a plan in work, with Aprilia and Suzuki also, in the last two works, the intention but fails because of the high cost, at 1.5 to 2 million euros lie. At the Australian GP, it was reported that Yamaha had approached Michele Pirro, but the 31-year-old Italian is under contract with Ducati until the end of 2020. Aprilia, too, was after Pirro. "I do not know about Yamaha's interest in Pirro," Rossi said in Sepang. "But Pirro could have been a good idea because he's strong. If he is in the tests, his lap times are not far above those of Jorge and Dovi. He could also bring good data to Yamaha ... But I've heard by now that he has a Ducati contract. So it will not be possible to get him to Yamaha. " Yamaha has meanwhile given up plans for a test-station based in Europe anyway. "There has been a lot of discussion in recent months about new testing restrictions for the 2018 MotoGP World Championship," said Lin Jarvis, Managing Director of Yamaha Factory Racing, at SPEEDWEEK.com in Sepang. "Ducati wanted to keep the current regulations. But we wanted a fairer situation because, for Japanese manufacturers, a test team based in Europe is very expensive. We test in Suzuka and Fukuroi with our Japanese pilots. Also Honda and Suzuki test mainly in Japan. Ducati did private tests in Mugello, Barcelona and Mugello this year. In Mugello, they drive with Pirro very, very often, because yes, a test driver is not bound by the restrictions of contract drivers. Since in the future the test teams of the plants can only test on three fixed GP pistes and from 2019 the regular drivers have to complete three of the five private test days already in November, Yamaha will delay the development of a European test team. Suzuki hesitates and thinks about a compromise solution with test driver Sylvain Guintoli (35). He could incidentally deny the BSB for Suzuki. "The new test system adopted at the Motegi GP is far fairer because it does not favour Ducati that much anymore," says Lin Jarvis. "So far we have not had any equal conditions in the MotoGP tests with the test pilots because for the Japanese factories, a test team in Europe would be very costly and time-consuming. For 2018, the regulations are fairer for all participating plants. Ducati has to restrict itself to test driver Pirro in the future more." But Yamaha is considering a compromise solution. Dutch Superbike driver Michael van der Mark could sometimes be called up for official MotoGP tests and be looked after by a small test crew. What are your thoughts ? Valentino Rossi Will Still Race in 2019 ? 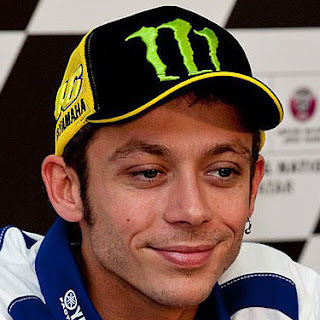 Valentino Rossi born 16 February 1979 is an Italian professional motorcycle road racer and multiple MotoGP World Champion. He is one of the most successful motorcycle racers of all time, with nine Grand Prix World Championships to his name – seven of which are in the premier class.